Design inspired 350ml double wall reusable coffee cup which will keep drinks hot for longer and remain cool to hold. It has a secure screw on lid with a silicone seal and a splash proof flip closure. The lid, flip closure and inner wall are manufactured from food grade polypropylene and the outer wall is stainless steel. 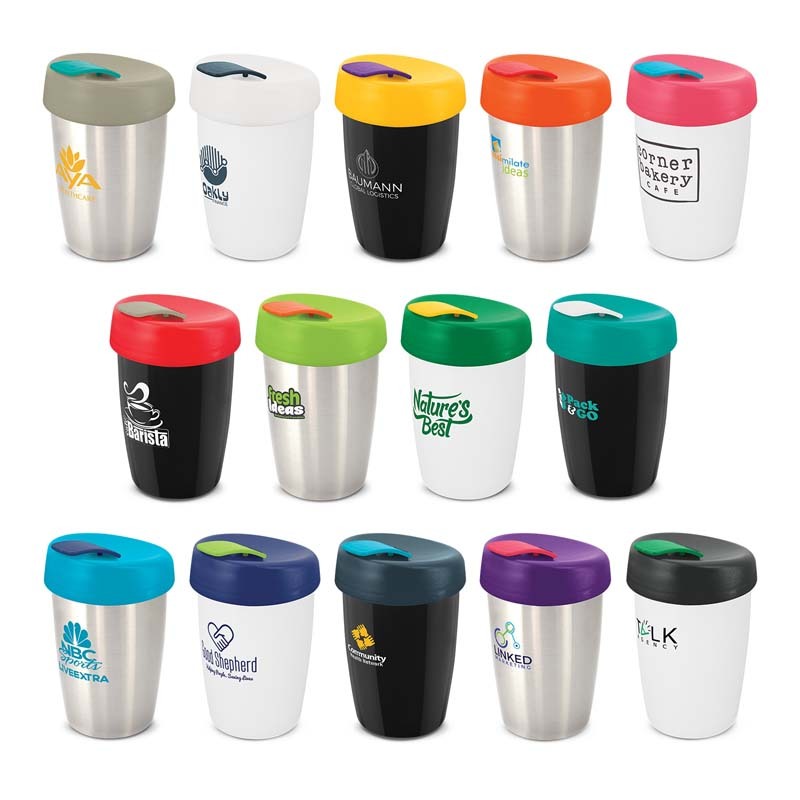 Express Cup-Elite is BPA free and the materials used are recyclable. 588 mix and match colour combinations are available and the price includes one colour combination per order. Pad Print: Body - 40mm x 25mm.